I like these resolutions from the Sierra Club Sierraclub.org to start the new year and thought they had a unique twist. We can all do better and there are some good ideas here to get you started. 1. Keep the TV off. 2. Make dinner tonight. Why waste the gas and money to go out for dinner, when you can make a nice, hot meal right at home? Go with local, organic ingredients to step it up a notch. Not only will you be saving money, and help out the local economy, you’ll have leftovers for later. 3. Take a shorter shower. 4. Clean out your closet. It’s time to clean out all those clothes you never wear and put them to good use. Donate them to your local Salvation Army or upcycle them into something new. You’ll feel better for having cleared out some of the clutter, believe us. 5. Drop that paper towel. Sure it’s easy to just grab that roll of paper towels when there’s a spill or you need a napkin, but a regular kitchen towel does the same trick and reduces waste. It’s a hard habit to break. 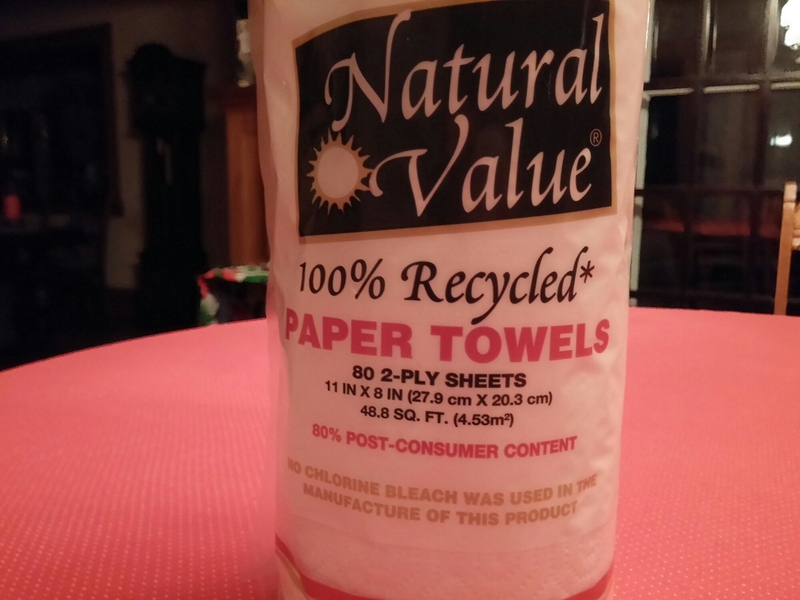 Just reducing use makes a difference and always use recycled paper towels. 6. Cut back on driving. 7. Sponsor a wild animal. Check out World Wildlife Fund WWF.org I just wish they would reduce all their mailings. 8. Recycle, recycle, recycle. Everyone can do better on this one! 9. Turn down your thermostats. This will help lower your energy usage, and your bills. And yes, that was plural. We’re not just talking about your heater and AC units, think about your refrigerator settings as well. 10. Protect clean air. A fresh, new year requires fresh air. You can help ensure by educating yourself and pledging to take a stand against toxins caused by coal mining. Visit the Beyond Coal website and sign the petition, donate funds, or volunteer time to fight for clean air throughout the year. 11. Make a compost bin. In general, it’s best to cut down on food waste when you can. If you have a yard, look into setting up your own composting. If you’re living in a smaller space, there are a couple different options to keeping your waste to a minimum. Try out some of these simple compost ideas. 12. Invest in rechargeable batteries. It may sound like an odd resolution, but think about the number of times you replaced batteries last year. We go through them quicker than we’d like to think, and much of the time they don’t get disposed of properly. 13. Switch to reusable bags. New year, new mottos! And we say that plastic is out and reusable is in. One of the easiest ways to help reduce plastic waste is to ditch plastic bags when shopping. You can purchase reusable bags or make your own. Either way, make a mental note to always keep one handy, either in your purse, briefcase, or glove compartment. 15. Clean up your neighborhood. For today, start by taking a walk around the neighborhood and seeing how much trash you wind up with after a couple blocks. You’ll be surprised by what you find. It might inspire you to do more, whether you form your own clean up crew or join an outing near you. 16. 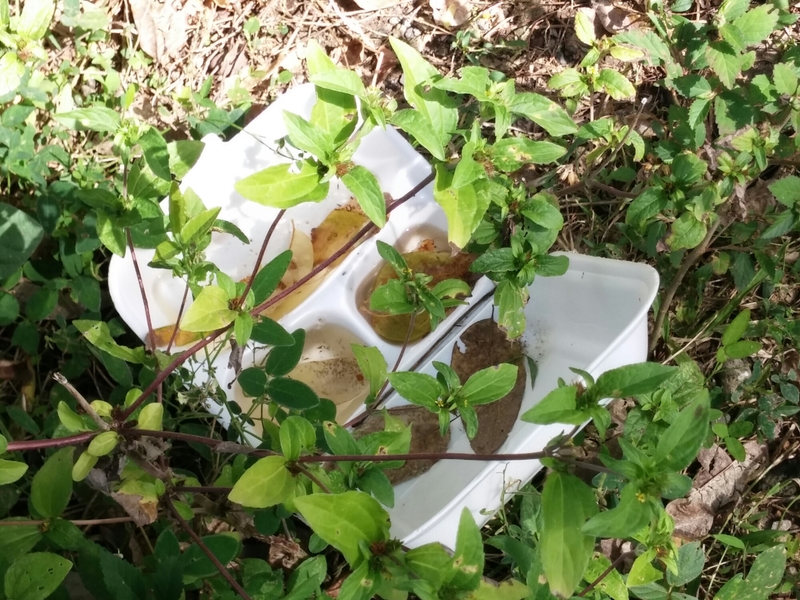 And never never use Styrofoam. Tell business that use Styrofaom to please work for a recyclable or compostable alternative. Is this what we want our earth to look like? Next Next post: 2014, The Hottest Year On Record!